Savolit Plus wood wool boards are genuine natural panels and consist of long, strong wood fibres which are mineralised and bonded into panels. Its properties include high resistance to moisture and frost as well as high flexural and compressive strength. Composite board for external walls and partitions. A two layer acoustic panel available in two options. 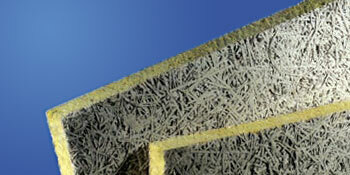 Troldtekt with laminated backing of sealed mineral wool or stratocell insulation. Summary Genuine natural panels consisting of long, strong wood fibres which are mineralised and bonded into panels. The purpose designed, Savotherm laminated insulation board forms the heart of an external wall insulation system that is simple to install. Composite board for external walls and partitions. 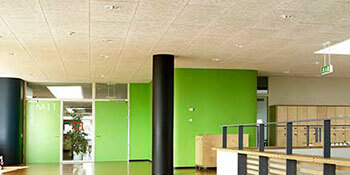 Natural ceiling and wall panels renowned for their excellent sound absorption qualities. A two layer acoustic panel available in two options. 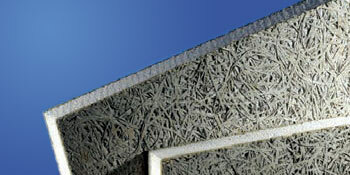 Troldtekt with laminated backing of sealed mineral wool or stratocell insulation. 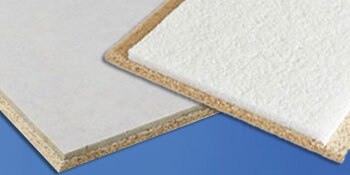 A two layer or multi-layer panel available with varying insulation options. Composition Long strong wood fibres, stabilised by chemical impregnation and bound by cement-binding agent into a compact coherent structure. Non-combustible rockwool core sandwiched between two layers of wood cement composite. 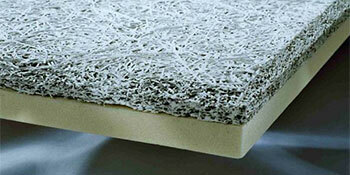 Class E expanded polystyrene and two outer layers made of wood-cement composite. 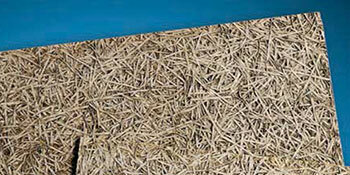 Spruce shredded into long thin shavings – wood wool – which is then mixed with cement. Consists of a classic Troldtekt panel with a laminated, sound-absorbing backing layer of sealed mineral wool or a layer of Stratocell. Consists of a classic Troldtekt panel with a laminated backing layers of either phenolic insulation, PIR, EPS, EPS-Graphite, mineral wool and rockwool combinations. Clients should check their applications with our Technical Dept. Mainly Internal with some external applications. Typical Application External cladding of timber frame walls, internal lining of timber frame walls, base board for plastered ceilings and walls, internal partition walls. Insulation of masonry walls, timber frame walls and steel frame walls. Thermal insulation of outer walls of individual buildings, flat and slanting roofs, ceilings, columns, ceilings of passages. Used on walls and ceilings to reduce noise and create good acoustics. Used on walls and ceilings to reduce noise and create good acoustics. Ideally suited for retrofit installations, cloud ceilings and baffles. Used on walls and ceilings to reduce noise and create good acoustics, with Combi panels you also achieve a thermally insulated acoustic ceiling.